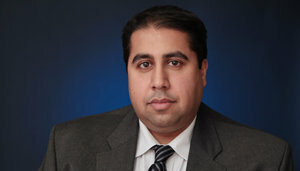 Anuj Wadhwa is a partner at Rakoczy Molino Mazzochi Siwik LLP. He is registered to practice before the United States Patent and Trademark Office, and holds a degree in biochemistry. Mr. Wadhwa has extensive experience in all aspects of litigation, including pre-filing investigations, discovery, motion practice, preliminary injunction proceedings, Markman hearings, pre-trial and trial practice, and appellate practice. He has conducted and defended depositions, drafted and argued motions, prepared witnesses and experts, appeared in court for status and motion hearings, and conducted bench trials. Mr. Wadhwa has, for instance, successfully opposed preliminary injunction motions, ensuring his client’s right to market entry. His work encompasses a wide variety of pharmaceutical patents and technologies, and he is involved in all areas of the firm’s patent litigation practice. Mr. Wadhwa also is involved in the firm’s patent counseling work. He has drafted numerous opinions of counsel, including non-infringement, invalidity, right-to-make and freedom to operate opinions. Mr. Wadhwa regularly assists clients in making patentability assessments, evaluating competitive patent portfolios, and conducting prior art searches. He also has extensive experience in counseling clients with respect to their patent portfolio strategies, and preparing and prosecuting patent applications. Mr. Wadhwa has experience with various technological fields, including pharmaceutical compositions and methods of use, protein synthesis, neocartilage, polymer chemistry, organic and inorganic chemistry, medical devices, chemical packaging, food products, nutritional supplements, mechanical systems, gypsum panels, lighting assemblies, electroluminescent compounds, sporting goods equipment, Internet authentication systems, business methods, and software systems. Prior to joining RMMS, Mr. Wadhwa previously was an associate at Fay Sharpe LLP and Greer, Burns & Crain, Ltd. Prior to attending law school, he worked as a laboratory assistant for Milette, Vander Wood & Associates, where he conducted pharmaceutical testing for companies to ensure drug manufacturer specifications and guidelines, including foreign particulate identification, particle shape analysis and polymorph characterization.